growing data center and 5G business. Source Photonics continues its position as a leading innovator. 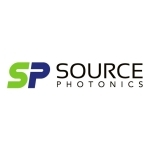 Source Photonics, please visit www.sourcephotonics.com.